The global network function virtualization market was valued at USD 3.8 billion in 2017 and is anticipated to grow at a CAGR of 47.1% during the forecast period. Network function virtualization involves replacing network appliances such as routers and firewalls with software operating on commercial off-the-shelf servers. Network function virtualization replaces dedicated appliances with shared servers, reducing the hardware costs. Implementation of network function virtualization also reduces operational costs owing to decrease in deployed devices and maintenance services. Network function virtualization accelerates service deployment for network operators by decoupling functions such as firewall and encryption from dedicated hardware and moving them to virtual servers. The major factor driving the network function virtualization market is the increasing demand of wireless services and mobility. The rising demand for data center consolidation and server virtualization also supports the growth of the market. Also, the network function virtualization market is expected to grow rapidly in the future owing to factors including increased mobile broadband speeds, and advancements in the 5G network technology. The opportunities present in the global network function virtualization market for players include growing demand for cloud services, reducing telecom carrier costs, and increasing adoption of internet of things. The global network function virtualization market is segmented on the basis of component, organization size, deployment model, end-user, and region. On the basis of component, the market is segmented into hardware, software, and services. In 2017, hardware accounted for the highest share in the global network function virtualization market. The organization size is bifurcated into large enterprises, and small and medium businesses. The large enterprises segment dominated the global market in 2017. The growing penetration of mobile devices and increasing demand for mobility boosts the adoption of network function virtualization in this segment. The deployment model segment is divided into on-premise, and cloud-based. The end-user segment is categorized into BFSI, Healthcare, Retail, IT and Telecom, Manufacturing, and others. 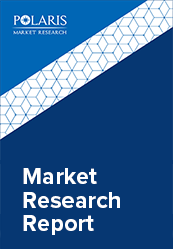 Geographically, the network function virtualization market is segmented across North America, Europe, Asia-Pacific, Latin America, and MEA. North America is further segmented into U.S., Canada, and Mexico. Europe is divided into Germany, UK, Italy, France, and Rest of Europe. Asia-Pacific is bifurcated into China, India, Japan, and Rest of Asia-Pacific. North America accounted for the largest share in the Global Network Function Virtualization market in 2017. The increasing penetration of mobile devices, growing demand for mobility, and increasing adoption of cloud technologies support the market growth in this region. The leading players in the network function virtualization market include Juniper Networks, Inc., Brocade Communications Systems, Inc., Cisco Systems, Inc., Intel Corporation, Big Switch Networks, Inc., NEC Corporation, Hewlett Packard Enterprise Co., AT&T Inc, Citrix Systems, Inc., and Oracle Corporation among others. These leading players in the market are introducing innovative products in the market to cater to the consumers. Global players are entering new markets in developing regions to expand their customer base and strengthen market presence.